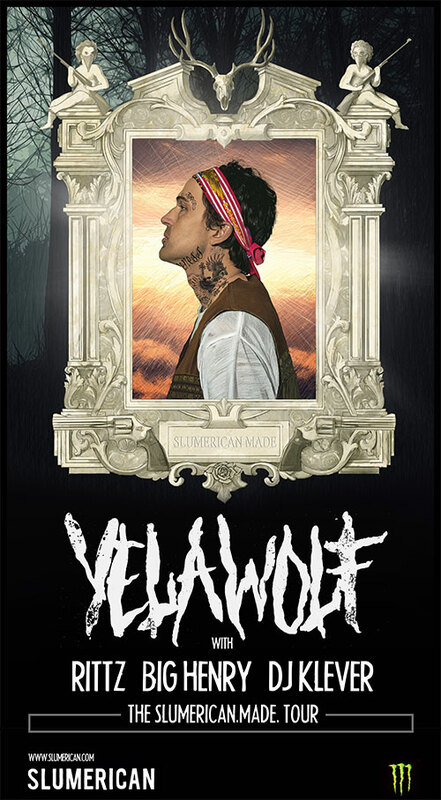 ANNOUNCEMENT: The Slumerican Made Tour Featuring Yelawolf And Rittz – Tickets Now Available! A tour for Slumerica, of Slumerica and by Slumerica. 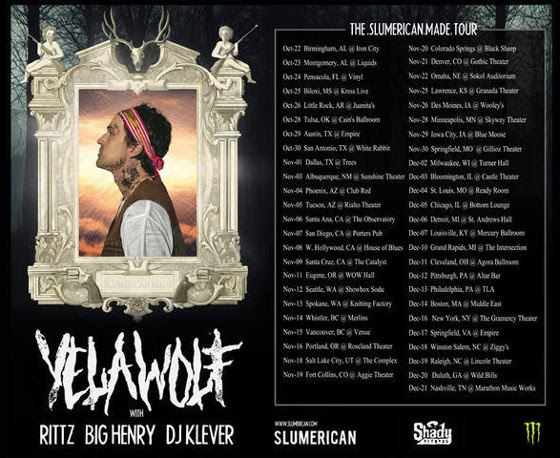 Yelawolf presents the The Slumerican Made Tour featuring Rittz, Big Henry, and DJ Klever. The Slumerican Made Tour runs from October 22 to December 21 and will be appearing nationwide in a city near you! Rittz will undoubtedly be performing material from his new album Next To Nothing and all of his classics, making this a tour you won’t want to miss. Oh yeah, did we mention Yelawolf is the headliner? Get your tickets now before this thing sells out.